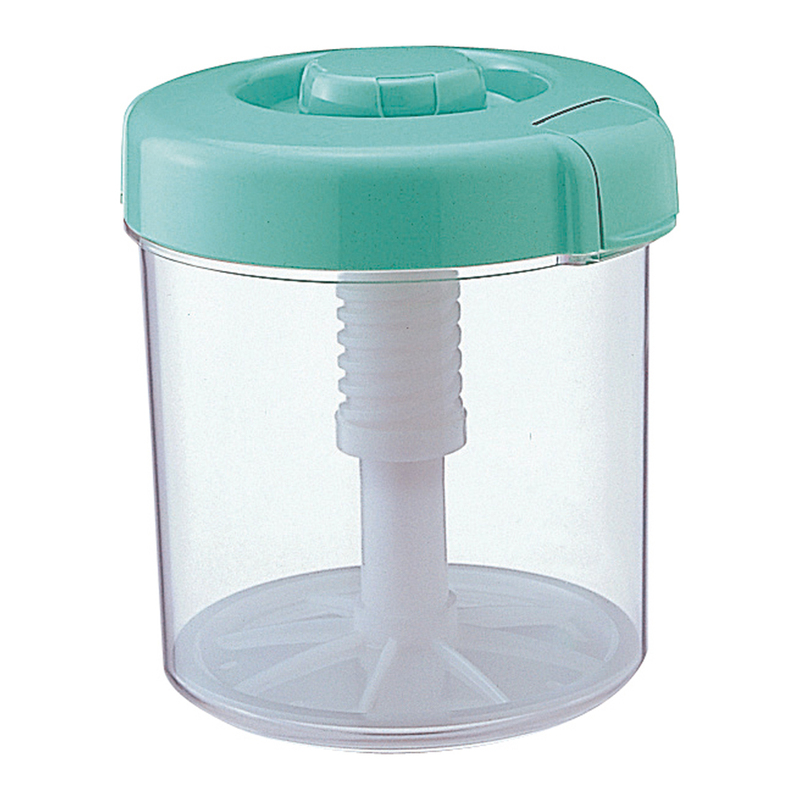 Japanese clear plastic press with a screw-down top - Green colored. Perfect size for a larger family. Mitoku pickle & vegetable press is a small enclosed container made of food-grade hard plastic with an adjustable screw plate used for pressing salads or making light pickles. In Japan, families regularly exchange homemade pickles with neighbors and friends. Now you can make your own delicious, natural pickles! Simply layer your vegetables and sea salt inside the press, then screw down the pressure lid. The large spring screw-down lever allows you to gauge the right pressure for fresh, firm and crisp pickles within hours. Also great for making the perfect pressed salad.